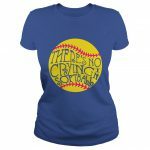 Check out this great collection of gifts for women who love baseball and softball gifts for women and girls. Buy this gift for yourself, Moms! 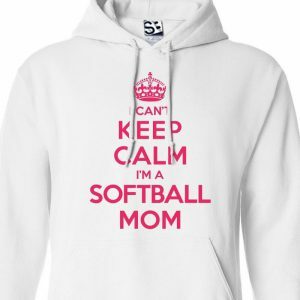 Or this could be an awesome gift for a team mom who carries around a lot of stuff. Perfect for the baseball fan or baseball mom. Comes in several sizes and includes rhinestone accents. 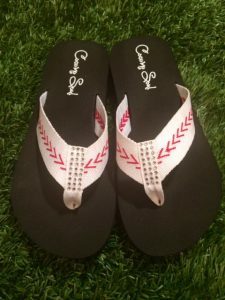 Add a little personal flair to some flip flops like your player’s name or team. 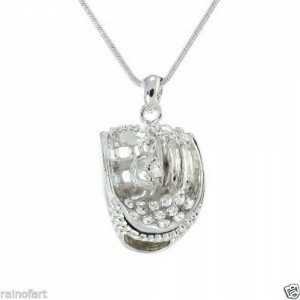 This beautiful silver plated baseball or softball glove with inlaid crystals and baseball charm makes a wonderful gift for a baseball mom or softball player who wants to memorialized their sports path. 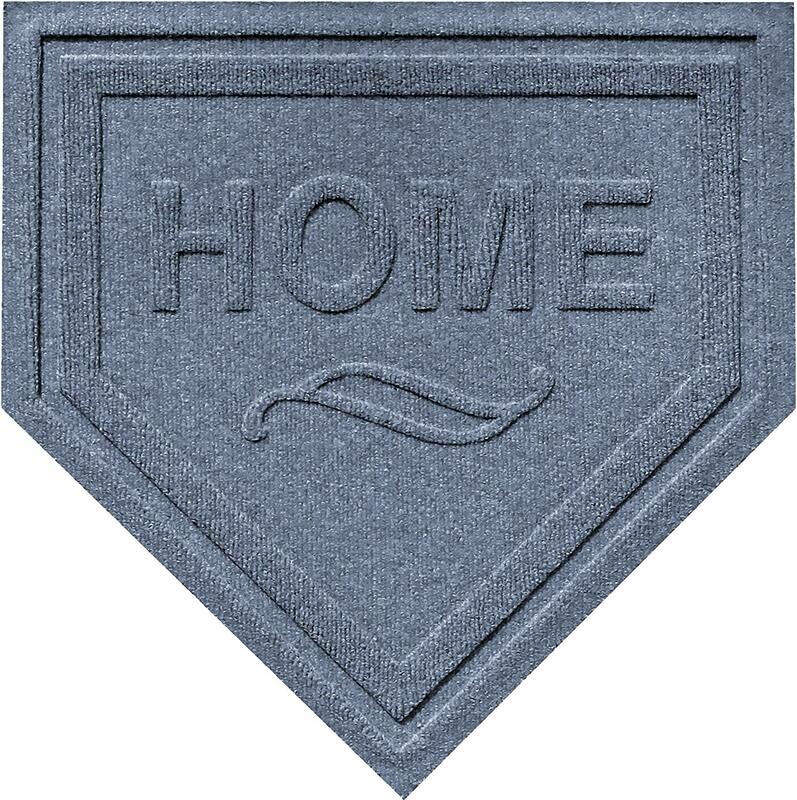 This would be a nice housewarming gift for a baseball family and it’s functional, too. 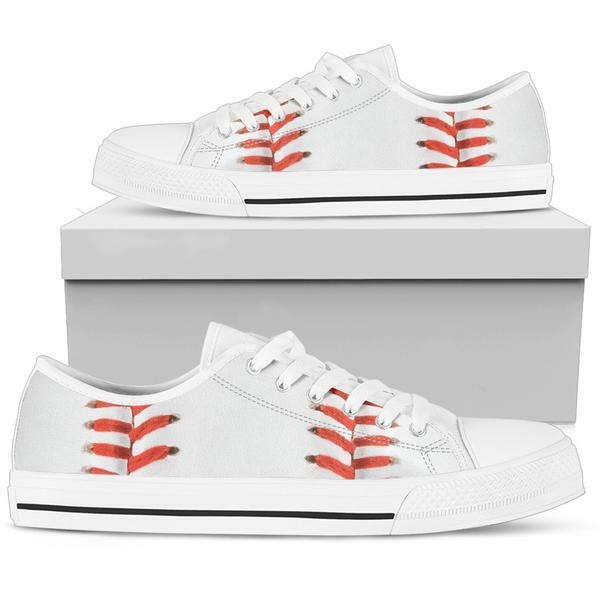 I think these are the bomb and would look super cute with jeans or shorts. There are a few different options available on the website. 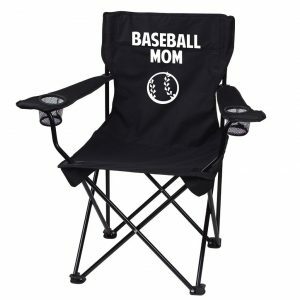 Mom has to have a chair so why not get her one that says “Baseball Mom”. I seriously love this. 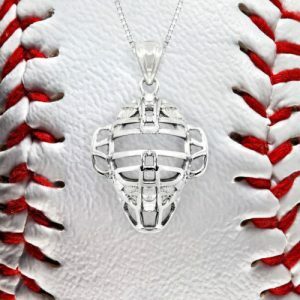 This is a great gift for the mom of a catcher or for a softball catcher. 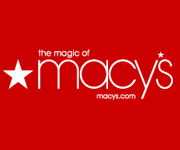 It’s sterling silver and perfect for a delicate chain necklace or charm bracelet. Also available in gold and silver option. 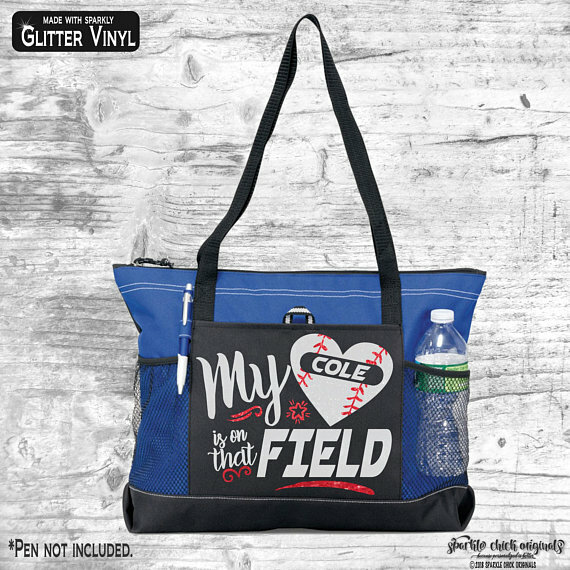 Perfect gift for a baseball mom, or just something a baseball mom could get herself to show off her love for baseball. Also available are matching earrings and bracelet. 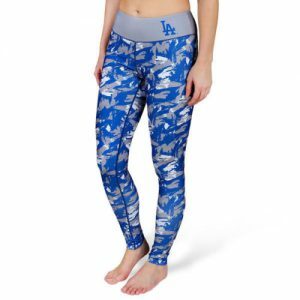 Perfect for working out in or wearing to the game. 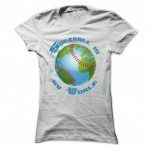 I’m a Dodgers fan, but these are available from Ebay in many different team prints. 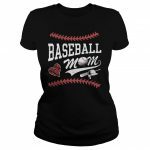 These are available in several colors and are a great way for a mom to show support for her softball player. 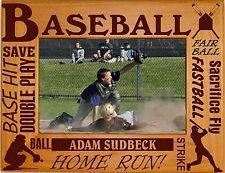 These custom picture frames can be laser engraved with the design of your choice including your child’s name, team and coach info, or to memorialize a special home run or other achievement. This frame is a wonderful gift not only for moms, but for grandparents, dads, or anyone else who would love a photo of your child playing, to have on their mantle, desk at work, etc. 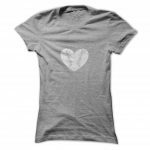 There are several different designs available and the creator can send you a proof to approve before you order. 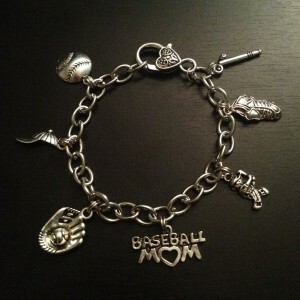 This adorable charm bracelet is perfect gift for any baseball mom. 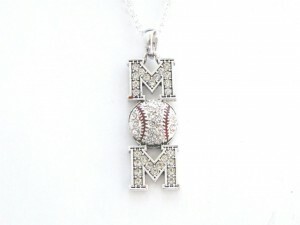 It’s made of zinc alloy and is lead and nickel free, and it’s adorned with several cute baseball charms. 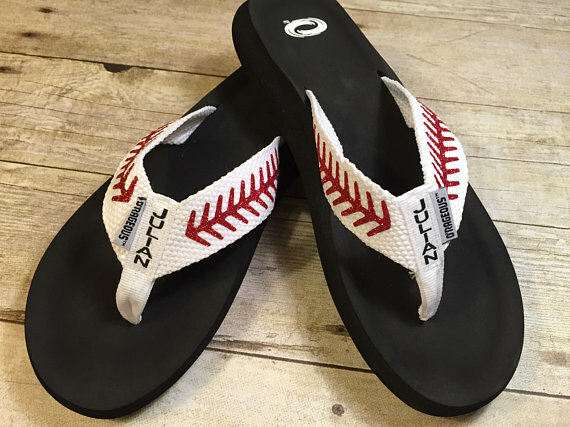 What a great way to show how proud you are of your baseball kid. 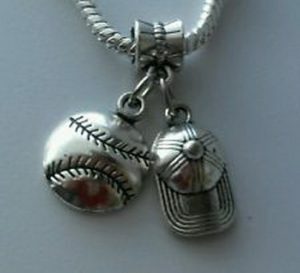 This is a cute charm to add to your existing charm bracelet. 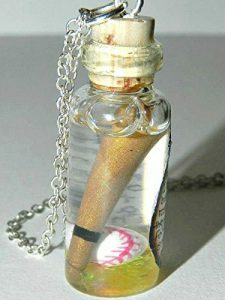 It’s compatible with Pandora, Biagi, Troll, and Chamillia European bracelets. 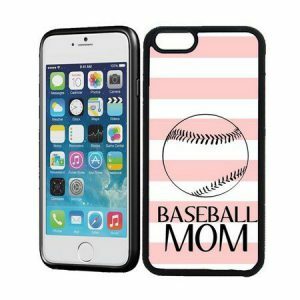 Baseball moms love anything that has to do with baseball and this iPhone case is the perfect gift to go along with their other accessories. 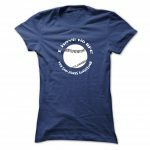 Little League or Pony Baseball?